Here at Max Security we are your local specialists for all things security door installation McLaren Vale. In fact the team at Max Security pride ourselves on our ability to work all over the SA area and this does include past metro Adelaide. In fact we are only a call away and are able to help you with your every need. Our team makes sure we service from Adelaide through to Kangaroo Island and can help you with your security doors and screens. We are able to provide you with peace of mind and your families safety. You cant go past our Security Door installation McLaren Vale. The team at Max Security Doors & Screens are the specialists in all things security door installation McLaren Vale. In fact, we even have one of the largest showrooms in the southern suburbs of Adelaide. Not only that, be we also have an extensive range of security doors and screens products and services that will leave your home as safe as it possibly can be. So for all of our services security door installation McLaren Vale do not hesitate and call us today. Security Door Installation McLaren Vale, Max Security Are Your Local Specialists In All Things Security Door Installations McLaren Vale. 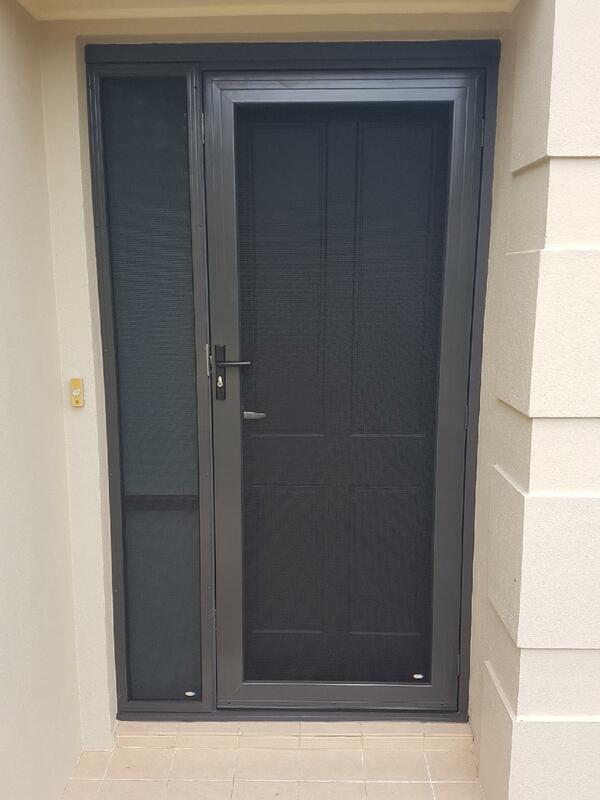 The photo below shows a recently installed fully custom security door installation McLaren Vale at a clients house. This security door is reinforced with the latest security double mesh fitted with black aluminium skirtings and side screen. Our client wanted something that would flow perfectly with the exterior of the home, while keeping the home and contents safe. This is the perfect security door for any home and even any business. We are able to cater not only for doors, but also side windows attached to doors. If you would like something similar to this, or even just want to get a free measure and quote and see what other options are available please contact us on 08 8186 5733 and one of our friendly staff will help you out.